Listen up – here’s where we get strict with you. You’re about to buy an engagement ring right? But do you know and understand the 4 Cs? What’s that I hear you ask? Sit down, get a pen and paper out and start concentrating. Here is our easy-to-digest guide to diamonds and choosing that all important ring. Cut - The cut is the most important factor in determining value. A good cut allows a diamond to handle light well and emit sparkle! 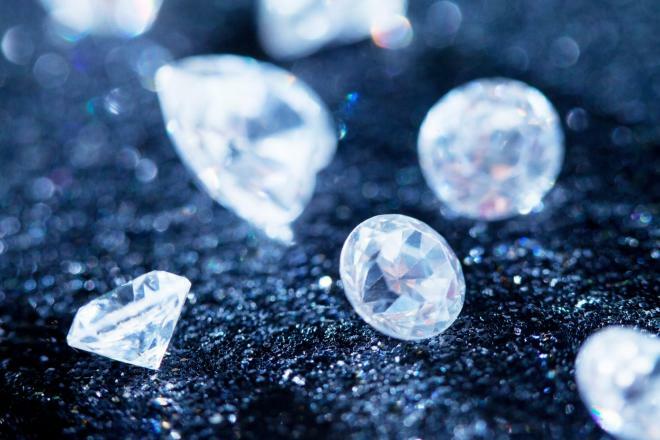 Diamonds that have been cut really well are often called ‘brilliant’ – meaning they emit and reflect light very well into the beholders eye, and therefore appear to shine very brightly and clearly. Carat - A carat is equivalent to 0.2g – it’s quite simple, the higher the number of carats the heavier and therefore bigger a diamond appears. Clarity - The ‘clarity’ describes how flawless or clear a diamond is It’s important to note, when people are looking for the biggest looking diamond, or a stone that shines the brightest on a set budget, people compromise on the clarity of the stone, meaning they might be happy to settle for a stone with a slightly lower clarity. Our advice? A flawless diamond is always the most beautiful. Colour - With diamonds, it is actually the absence of colour and the whiteness of the light emitted that holds greater value. But, as you know, a clear diamond isn’t the only option out there. With current trends, more and more women are opting for coloured diamonds such as pink or yellow. Work out what your other half would ideally like before you start hunting..